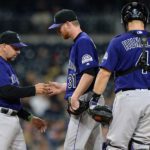 The loss of Senzatela solidifies a spot in the rotation for journeyman Chad Bettis, as well as the likely inclusion of a long-relief arm being added to the bullpen. 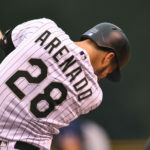 Rockies return home red hot after successful road trip. 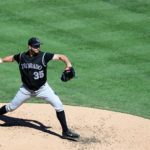 Tyler Chatwood was one of the most dominant pitchers on the road in 2016, yet Chatwood says he still gets nervous before starts, even in Spring Training. 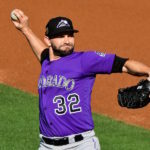 Colorado Rockies ace Tyler Chatwood will be spending the next 15 days on the disabled list with a mid-back strain. 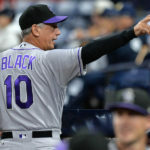 Even when their offense and pitching have faltered, the Rockies have been able to rely on one of the best defenses in baseball. 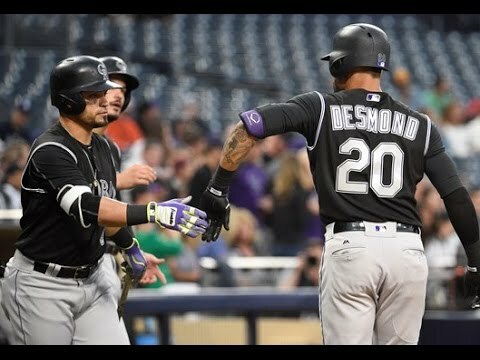 After Manny Corpas' blown save, Rockies batters draw three straight walks to bring in the winning run and move to a 2-0 lead in the NLCS. 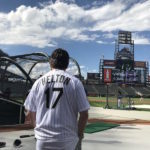 Colorado Rockies starting pitcher Chad Bettis will make his return to the mound at Coors Field Monday after a battle with cancer. 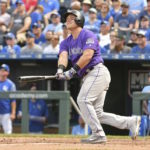 Pat Valaika dishes on the off season, and a potential new position for 2018 and more.